David Gilmour released his second solo venture in 1984, following the apparent dissolution of Pink Floyd. He had released a record on his own in 1978, but About Face is much more accessible. Gilmour has a stellar band backing him, including Jeff Porcaro (drums), Pino Palladino (bass), and Anne Dudley (synthesizer). The songs on About Face show a pop sensibility that Pink Floyd rarely was concerned with achieving. Although the album didn't attract the attention of a Floyd release, several cuts did manage to get airplay. &Until We Sleep& is rife with shimmering synthesizers and cavernous drums, and &Blue Light& was a minor pop hit, with Gilmour's trademark delay-drenched guitar giving way to a driving, horn-laced rocker. Pete Townshend wrote two of the tracks: &Love on the Air& and the propulsive &All Lovers Are Deranged.& Of course, there's more than enough of Gilmour's fluid guitar playing to satisfy, including the gorgeous &Murder,& a gentle acoustic track that explodes with some fiery organ by Steve Winwood and concludes with a fierce coda. 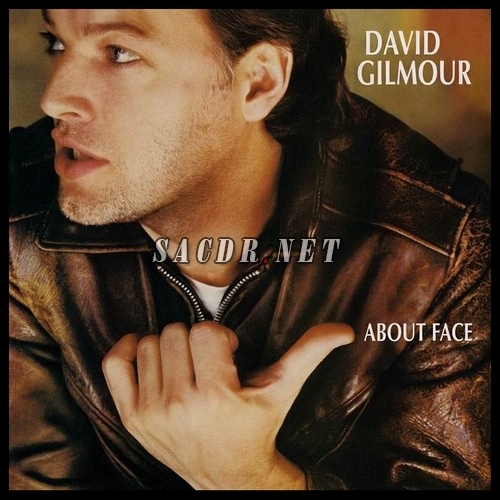 About Face is well-honed rock album that is riveting from beginning to end.